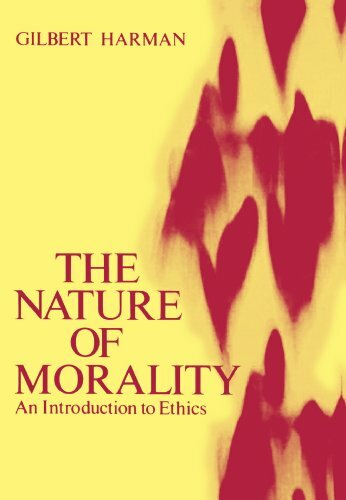 This is an introductory book on ethics which provides a marked advance of discussion of the nature of morality. The book is unique in its focus on the basic philosophical problem about morality and its apparent immunity from observational testing. The author considers a number of possible responses to the apparent fact that ethics is cut off from observational testing in a way that science is not. The author divides the book into five parts. Part I discusses the problem with ethics; Part II is on Emotivism; Part III is on Moral Law; Part IV on Reasons and Conventions whilst Part V is on Oneself and Others. This is recommended reading for those embarking on the study of moral philosophy. First, a point of clarification:this is basically a book about meta-ethics, not normative ethics. (Indeed, judging by his statements in the Preface, Harman thinks the properly philosophical part of thought about morality is exhausted by meta-ethics. )What is meta-ethics?The study of the metaphysics, semantics, epistemology, and psychology of morality. This isn't a textbook on ethics; it's an original work of philosophy written in such a way that it is accessible to those without a substantial philosophical background.Still, Harman does a pretty good job of introducing readers to many of the issues in meta-ethics while developing his own naturalistic account of morality, an account that ends up being a form of moral relativism.Harman does discuss positions other than those he favors, but they are discussed only insofar as they have some role to play in the progress in his own argument.And he does refer to historically important thinkers (e.g., Hume, Kant, Moore, and Hare), primarily using their work as a foil to his own or as a source of insights he can use in formulating his own theory. The book begins with a seminal, albeit frustrating, argument that Harman thinks poses a problem for the objectivity of ethics.Harman argues that a fundamental problem with putative moral facts, whose existence would be necessary for morality to be objective, is that it appears they cannot be tested against observation.He then presents an account of the nature of observation according to which this problem boils down to the fact that it appears moral facts cannot be fit into the explanatory framework provided by our scientific conception of the world.In particular, it seems we cannot understand how moral facts could causally interact with anything in the world in such a way that could ultimately cause our having experiences of them.Consequently, we cannot have observational evidence for or against claims about putative moral facts. The rest of the book can be understood as Harman's response to the worry presented in this chapter.First, Harman considers whether this argument ought to lead us directly to moral nihilism, the doctrine that there are no moral facts.He thinks not.In chapters 2-4 he scrutinizes some possible responses to this worry, including reductive naturalism, emotivism, and the ideal observer theory.This is followed by the long central section of the book in which he develops his own response to the worries about moral facts formulated in the first chapter.Harman ends up arguing that there may be moral facts, and that, if there are, these facts can be fit into a naturalistic worldview.However, he claims that these moral facts are relative ones.That is, he argues for a form of moral relativism. He begins with analysis of what it means to claim that someone morally ought to do something, and here he argues for a form of reasons internalism.More specifically, he argues that if it is true that person P ought to do action A, then P has reason to A.He then argues for a relativistic theory of reasons.According to Harman, a person has a reason to A only if there is some process of reasoning that would lead the person to do A (or at least to be motivated to do A).How do we determine what reasoning might lead a person to do?Harman suggests that we can find a clue to answering this question if we focus on the social nature of morality.He presents a view according to which morality has developed through certain social conventions accepted within groups.Moral reasons ultimately depend on these conventions; they apply only to those who have, at least implicitly, accepted the conventions of a group. So a person's moral reasons are supplied by her commitment to the conventional rules of that group. Importantly, persons outside the relevant group, i.e. persons not committed to the relevant conventions, do not have such reasons.And since Harman has argued that one ought not to act a certain way only if one has reasons not to do so, it is not true that those outside the relevant conventions ought not to act as they do.Even if those people act in a way that violates the conventions of our group, we cannot truly say that they ought not to have acted that way.This is perhaps most clear if we consider an example Harman himself uses.Hitler, he tells us, was clearly outside our moral conventions, conventions that rule out slaughtering millions for our political goals.So, while it is true that we who are committed to such conventions (and thus have reason not to act in this way) ought not to do such thing, Hitler had no such reasons and so it was not true that he ought not to have done what he did.Given his psychology and his lack of commitment to any such conventions, there was no reason for him not to have ordered and overseen the Holocaust.And since he ought not to do have done so only if he had such reasons, it's not the case that he ought not to have ordered the Holocaust.We cannot apply our standards to Hitler, who is outside our group, and truly judge that he ought not to have done what he did.Harman thinks that a sort of criticism of Hitler is possible, however--but it isn't possible to correctly claim that he ought not to have done what he did.Harman claims this view is consistent with our normal usage of 'ought' and our intuitions about how it ought to be applied in such cases.We think that we cannot apply our moral standards to a person like Hitler, that he is "beyond the pale." 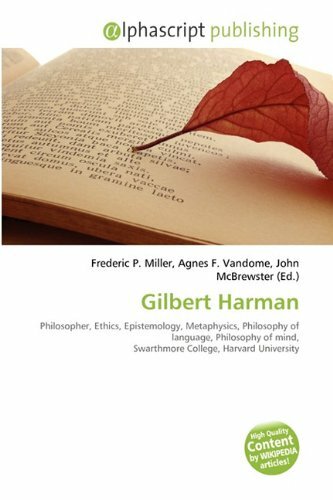 In this important new collection, Gilbert Harman presents a selection of fifteen interconnected essays on fundamental issues at the center of analytic philosophy. 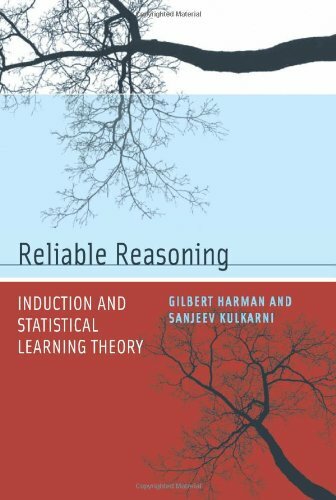 The book opens with a group of four essays discussing basic principles of reasoning and rationality. The next three essays argue against the once popular idea that certain claims are true and knowable by virtue of meaning. 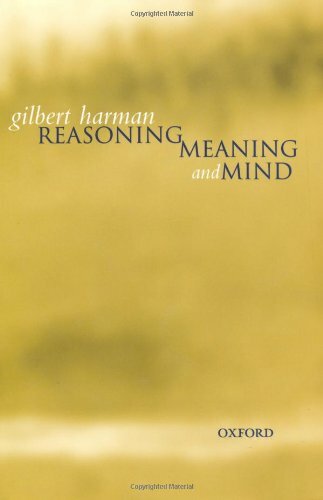 In the third group of essays Harman presents his own view of meaning and the possibility of thinking in language The final three essays investigate the nature of mind, developing further the themes already set out. It was o.k.Some of the issues he discusses just seemed a little trivial and semantical in nature.I liked the section on rationality a lot better than for example, the one on meaning. Change in View offers an entirely original approach to the philosophical study of reasoning by identifying principles of reasoning with principles for revising one's beliefs and intentions and not with principles of logic. This crucial observation leads to a number of important and interesting consequences that impinge on psychology and artificial intelligence as well as on various branches of philosophy, from epistemology to ethics and action theory. 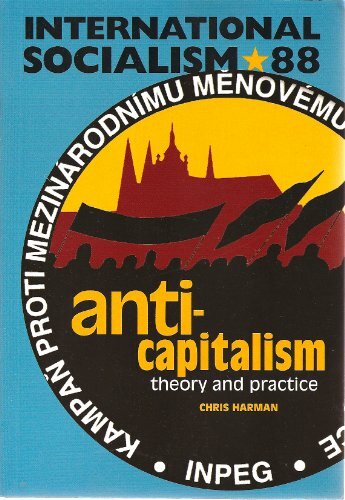 I had the great priviledge of taking the class upon which this book was based last semester at Princeton University under professors Harman and Kulkarni. It is a fascinating little book, which manages to distill decades of debate and research into concise, readable chapters that carry the presentation forward. The authors' approach is original but commonsensical and they clearly demonstrate the value of interdisciplinary work in their twin fields of philosophy and electrical engineering! The book is not without its flaws, however. The first chapter seems to take off 'in medias res' expecting the reader to be fully caught up with the latest discussion on the problem of induction, and it is not always clear exactly what a 'process of reasoning' might be compared to deductive arguments. The discussion could have benefited from incorporating material from the other draft textbook we used in class, on "The Nature and Limits of Learning", and even from the lecture handouts. The discussion of simplicity, as well, could have been clarified, especially with regard to Goodman's new riddle of induction and Karl Popper's philosophy of science. "What has happened to cognition? In other words, what has the past 30 years contributed to our understanding of the mind? Do we really know anything that wasn't already clear to William James?" Each participant tried to stand back a little from his or her most recent work, but to address the general question from his or her particular standpoint. The chapters in the present volume derive from that occasion. 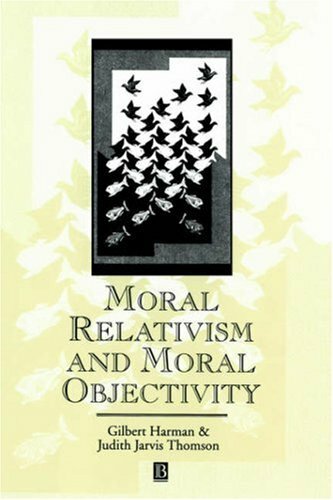 Moral Relativism and Moral Objectivity is both thought provoking and profound. 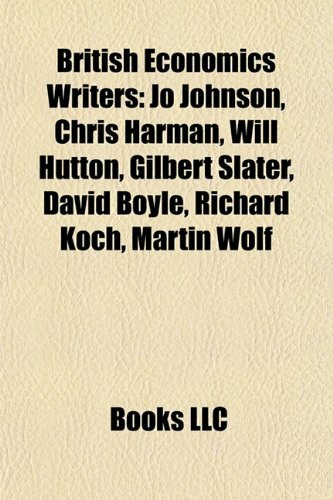 The authors of the book present their ideas in tremendous depth, yet the language is very accessible. Harman writes with incredibleintuitive appeal, and Thomson writes with rigorous and astounding clarity.The book is absolutely captivating. 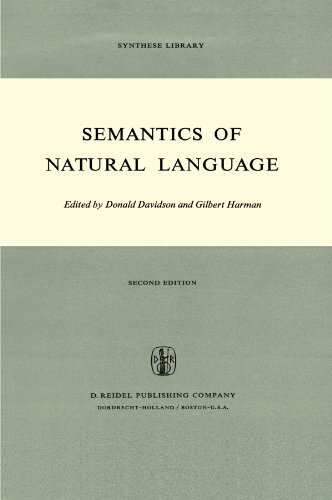 The authors cover everything fromphilosophy of language to epistemology. Unfortunately, at the end of theday, it is difficult to decide who 'the winner' is. While this might beregrettable, one shouldn't always expect to `find the answers' when readingphilosophy. Rather, one should feel like one has gained simply by deepeningone's own thoughtful reflections. Part of the reason that it isdifficult, with this book, to decide who the winner of the debate is, hasto do with the structure of the debate itself. The authors wrote theiressays independently of each other; they framed the issues quitedifferently from each other, and when responding to each other, theyreframed their opponent's position to meet their own frameworks. Forexample, Harman claims that moral statements are only true or false inrelation to various moral frameworks. Moral Relativism is the position thatthere are many moral frameworks, none of which is more privileged than anyother. 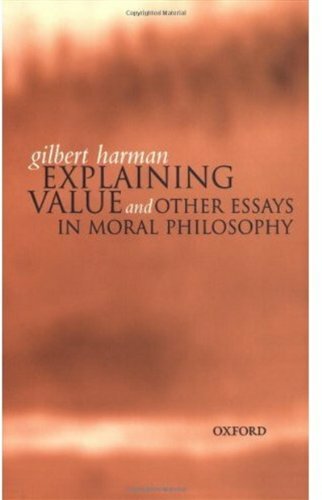 Moral Objectivity, as Harman maintains, is the claim that there isonly one moral framework. However, Thomson believes that "moral assessmentis pointless unless it can be found out about some moral sentences thatthey are true", this she takes to be what is at the heart of MoralObjectivity. Moral Skepticism she defines as the claim that "it is notpossible to find out about any moral sentence that it is true." In herreply to Harman's essay, Thomson reformulates Harman's position as claimingthat moral sentences are incomplete; she considers Harman a Moral Skeptic.Thomson sees the issue as primarily epistemic. It is easy to see how thismight confuse some people. However, such is the nature of debate andphilosophy in general. The hardest part of philosophy is to define theissues concretely. In this sense, the book is enlightening. MoralRelativism and Moral Objectivity is definitely worth reading; the authorsintroduce two drastically different perspectives on a very importantsubject.